When I was in elementary school, sometimes I’d score a rare, coveted invite to Shauna Bergendahl’s house across the street. She was about five years older than I and had perfect blonde feathered hair, the kind of Farrahed coif that shot her to a position as Head Majorette and a spot in the Homecoming royalty court. 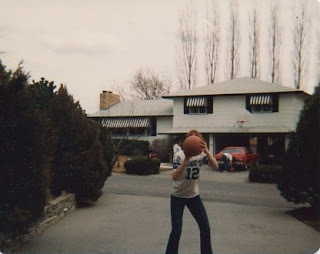 With neighborhood kids flocking around her Obvious Cool, Shauna enjoyed a built-in audience, but usually we subdivision regulars were kept in the peanut gallery, out on her driveway, under the basketball hoop. There, under their hoop, we could admire her dad’s red convertible and her tanned skin, along with her ability to hold forth while twirling a baton and doing the splits. I can count on one hand the number of times I made it over the threshold of her split-level rambler. On one of those occasions, a couple of us ended up in the basement with Shauna, a dark, paneled place with slightly-fetid carpet–a rec room that created the necessary atmospheric tension for playing Ouija Board and getting scared out of our wits. If I knew when I would die, that would affect my every choice from that moment on, and I just wasn’t ready to have fear of death inhibit my desire to buy the new Tiger Beat featuring Leif Garrett on the cover. “T,” the planchette spit out. Important sidenote: sixth graders in Montana did TOO use the word “kaput” in the 1970s. At that point, awed by the scope of my future and the fact that I’d one day need to cook for an Italian and our five kids when my current diet mostly consisted of Twinkies and Tang, I stopped. Removed my hand from the planchette. Looked up and Shauna and the others. “Can you guys believe it? I’m going to marry a guy named Tony, which pretty much means Tony Danza.” Sitting there, dazed, I hardly noticed the planchette beginning to move again. 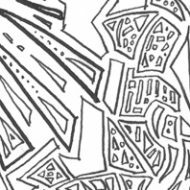 Over the course of six more minutes of agony, the planchette spelled out clarifying details. My Tony would have black hair. But. My Tony would have a M-O-U-S-T-A-C-H-E.
Whaaaa? As my future splintered around me, I registered “moustache” and “not Tony Danza then” in the same nanosecond. Were there other Tony’s on the planet? If so, did any of them have moustaches and look like they could love a suggestible redhead? After that day in Shauna’s basement, I felt a new kind of power. Not only did I have a vision of the man I needed to look for, I had a name. Even better, I could skateboard through life’s vagaries with the knowledge that they were temporary, that my true destination hadn’t been reached until I lay in the arms of a moustachioed Tony. Don’t tell my blonde, clean-shaven Norwegianish non-Tony of a husband this, though. He’s laboring under the impression that our gig is a lasting one. I, however, still feel certain there’s a fuzzy upper lip and a huge bowl of penne in my future. Knowing my Tony as I think I do, I’ll bet the engagement ring will be buried in the red sauce. Maybe, for consolation, my current-but-one-day-ex husband can hook up with Shauna Bergendahl at my wedding to Tony. Her tan shoulders will look great in a strapless gown as she shimmies to “I Just Want to Be Your Everything” and hollers tipsily at our reception, “You and Tony are so boss, Jocelyn! It’s almost like ‘He’s the Boss’, eh?” (which makes no sense, Shauna, since that joke only really applies if I actually had ended up marrying Tony Danza, which I didn’t; praise The Virgin Mary for his Gillette razor). Then she’ll throw up her baton and her dinner, give us a flash of Spanx as she does a high kick, and land with a thud in the splits and a puddle of Sautéed Sirloin Tips with Bordelaise. and my hands were barely even touching the planchette as it spelled out that answer. Dude! You misinterpreted the O Board! It's Tony Orlando of Tony Orlando and Dawn. He had a moustache at the time. A HUGE one. But he's not Italian, he's Greek/Puerto Rican. And his real last name name is Cassavitis (which in my own loose Latin translation in "House Lives") So you WILL end up marrying him and your initials will be J.C. and we will all call you that especially when you show up with BAKLAVA. We'll be all "Hey J.C.! You rock! Three times!" I was going to marry George Michael. Yeah…lol. this is kind of like when i found out the oldest looking one on Golden Girls was actually the youngest. exactly like that. Maybe your husband was an Italian guy in a previous life? But I think geewits may be right. Seems like when we did the Ouiji board as kids, it always involved lots of shrieking. 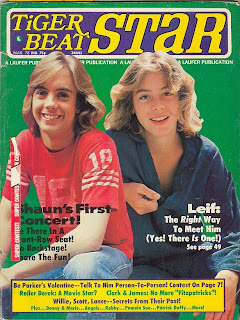 Leif Garrett and Tiger Beat – who was the other kid on there? And Geewits is right, it was Tony Orlando! Deep inside every blond clean-shaven Nordic man lives an Italianate/Greek Tony with a mustache. Trust me, you got the right one. My friend Linda had a picture of Eric Estrada in her locket. She had to cut off his hair and his chin so he would fit. I'm going with Tony Orlando too. Now that he's ditched Dawn, you're in! Ewwww. 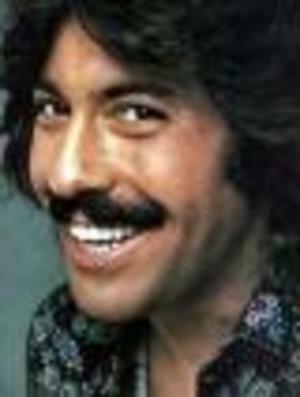 Tony Orlando? I'll take Shaun Cassidy over him. Hell, I'll take "And Dawn" over him. hehe seriously how do you come up with this stuff!?!? My equivelant of Shanua Bergenwhatsit was a playmate from a fundamentalist Christian family, the only girl for miles.Their dog had a mental disability but ran rings around the rest of the family. I beat her at an "unjumble the list of Bible characters" game at her birthday party.It was only the dog that was pleased to see me after that. I'm mostly stunned that Furious Ball watched Golden Girls. So did my mother. MY ouija board dealt more with sweeping issues like when I would finally be returned to my home planet, and could I take my dog. well of course it couldn't have spelled out andy gibb for you because it was busy spelling it out for me.